Growing up I was often looking out for those books that collected a bunch of short stories from authors. Some of those books are still in my collection to this day and are a good read for when you want something short and scary to read. Well now I can add this short story from the author of The Corpse Rooms (review here) to that collection as well. 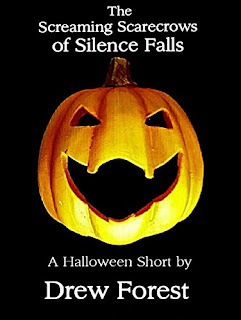 The Screaming Scarecrows Of Silence Falls follows Ross Hardy and his daughter as they try to rebuild their lives after a tragedy rocks their world. Deciding to move to the quiet village of Silence Falls they find what could be the perfect home for them. Only thing is that according to the locals on Halloween night it is best to stay inside your home and whatever you do, don't go wandering into the cornfields and most of all don't open the door to anyone. Naturally Ross just takes this with a pinch of salt and puts it down to locals trying to scare the newbies. When the knocks start coming at night though, Ross will become aware that sometimes it is worth listening to free advice. 21 pages long and full of mystery, intrigue and just the right amount of tension to make you want to find out more. 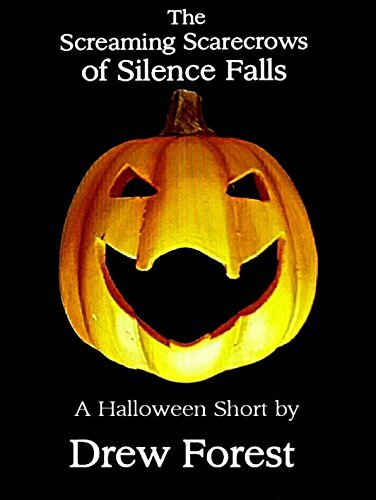 With the second book called The Screaming Scarecrows Of Silence Falls 2: The Summoning out now, what better time to pick up both of these books and scare yourself from walking through the cornfields.